Product Consists : 1 Kg Plum Cake and Bouquet of 30 Red and White Carnation and Roses with some filliers along with Christmas Greeting Card. Cardare considered best for expressing your emotions towards your dear ones. You can write down your feelings and wishes for your dear ones on greeting card. 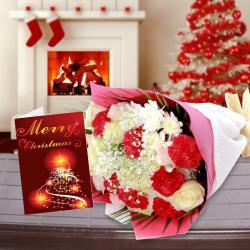 This gift combo contains one Christmas greeting card, one bouquet of ten red carnations and fifteen roses and a plum Cake. This gift hamper contains all the items required to wish merry Christmas. 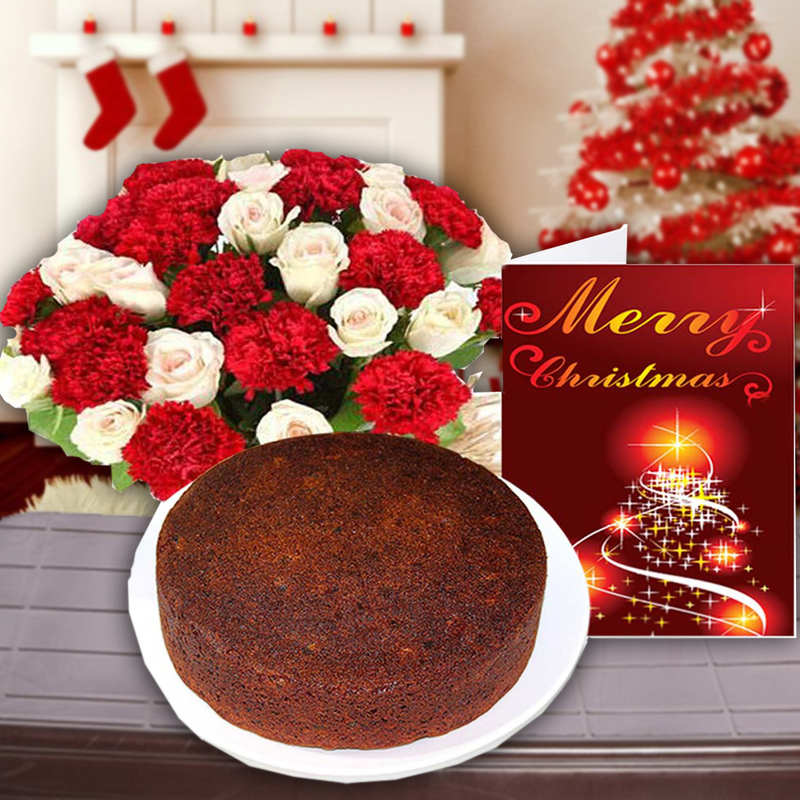 Flowers are send on every special occasion and on this Christmas send this flower bouquet gift to your dear ones which comes along with one greeting Card and a delicious plum Cake. So hurry up and book your order now for this amazing gift combo. Product Consists : 1 Kg Plum Cake and Bouquet of 30 Red and White Carnation and Roses with some filliers along with Christmas Greeting Card.